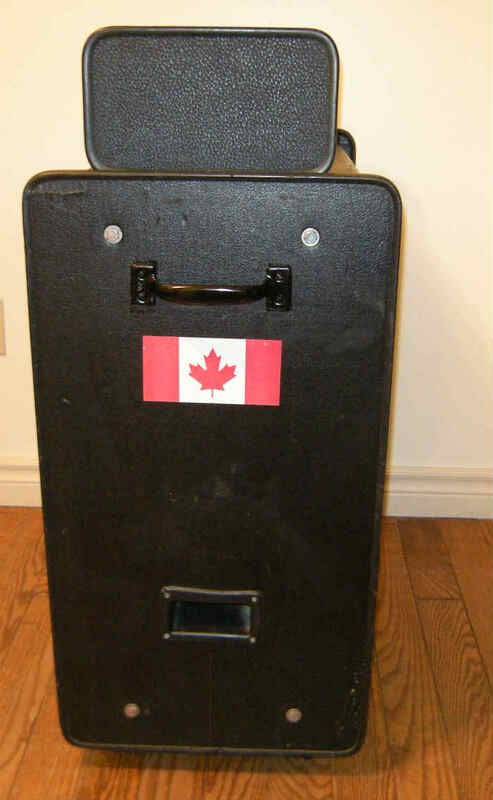 Manufactured in Toronto circa 1975 by Ahed Music Corporation, Ltd. The speaker bin contains four 10" high performance Celestion speakers. 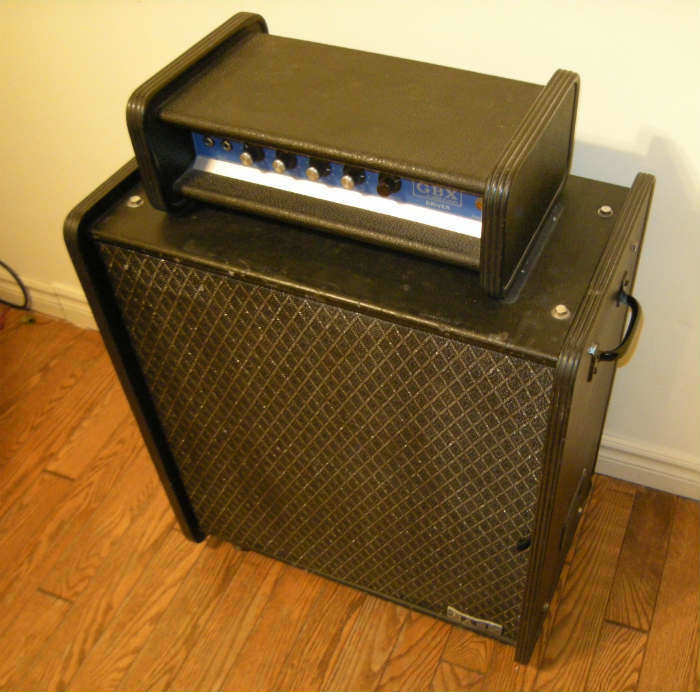 The amp is built into the bin and pushes 180 watts. contact David for more info. 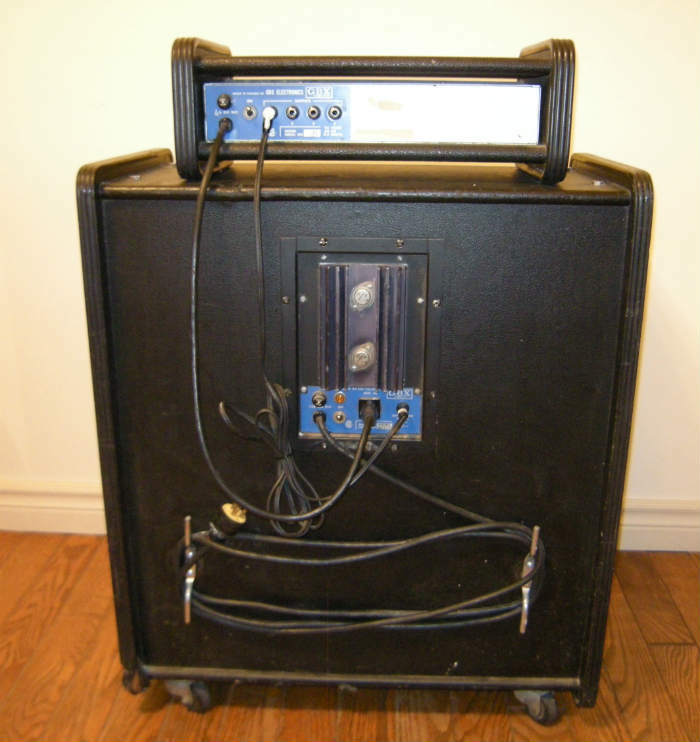 Their GBX amplification products were endorsed by the popular Canadian 70's rock/jazz fusion group Lighthouse. 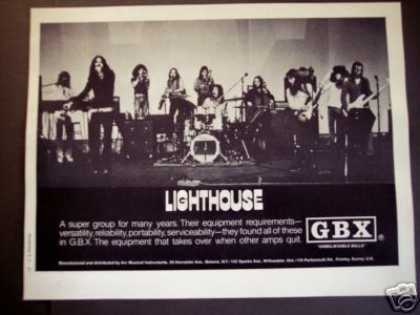 A poster advertising GBX was distributed in 1973-74 and read: "LIGHTHOUSE, A super group for many years. Their equipment requirements: versatility, reliability, portability and serviceability - they found all of these in GBX. 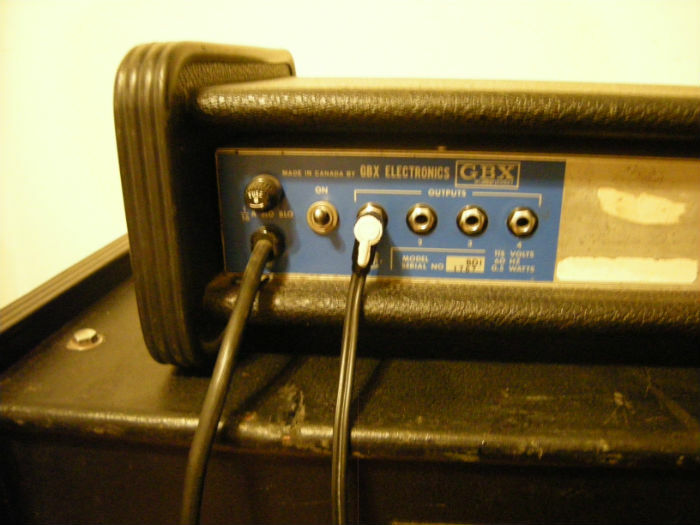 The equipment that takes over when other amps quit. 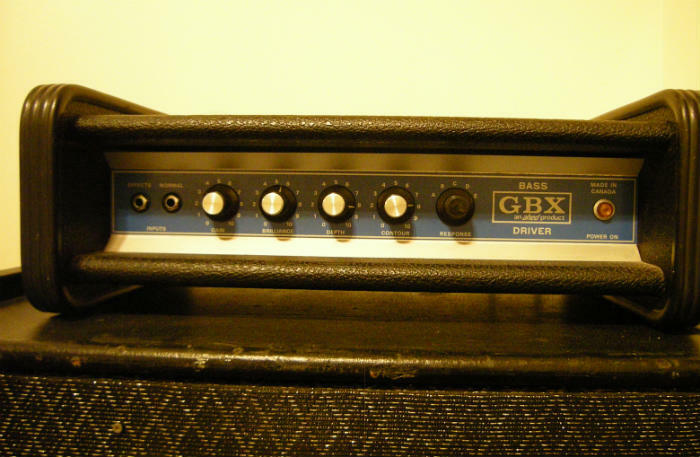 GBX"
GBX amps were made in Toronto during the late 60's through the mid 70's. 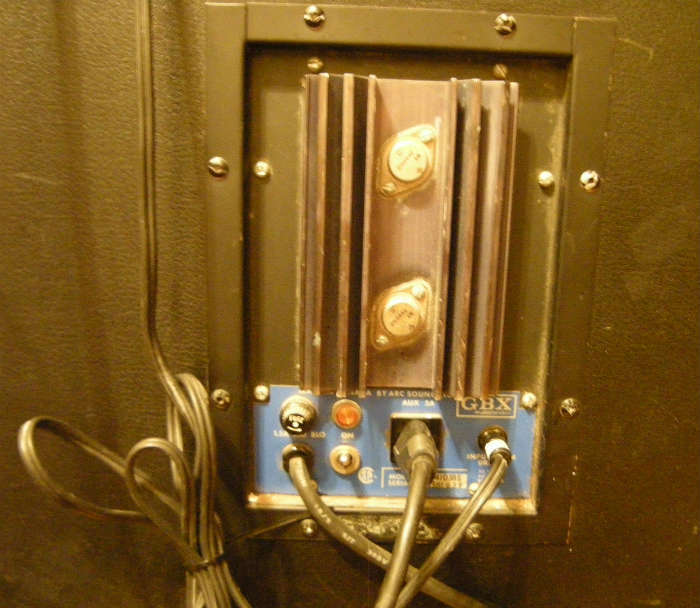 Their piggy back rigs were all based on the power module being housed in the cabinet with the preamp sitting on the top of the cabinet. 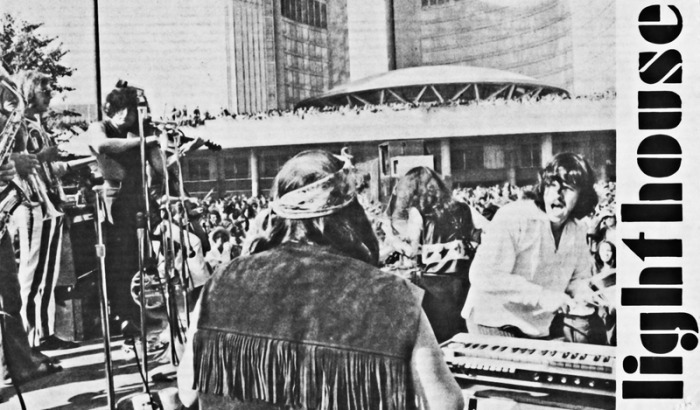 Because their amps were modular based, you could have up to and including 4 cabinets connected to one preamp. But you could also daisy chain cabinets together to exceed the 4 cabinets and still controlled by a single preamp. Again that's because each cabinet housed its own solid state power amp in it. 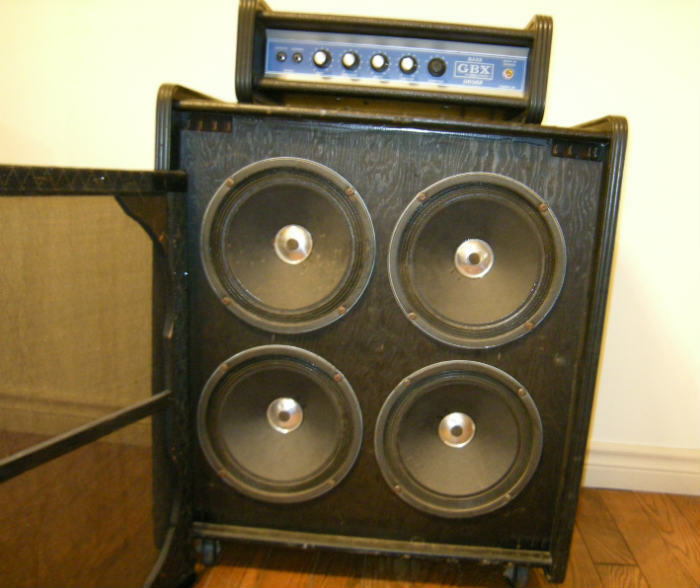 The standard bass cabinet was a 410 cab, with the 90 wattpower amp module in it. 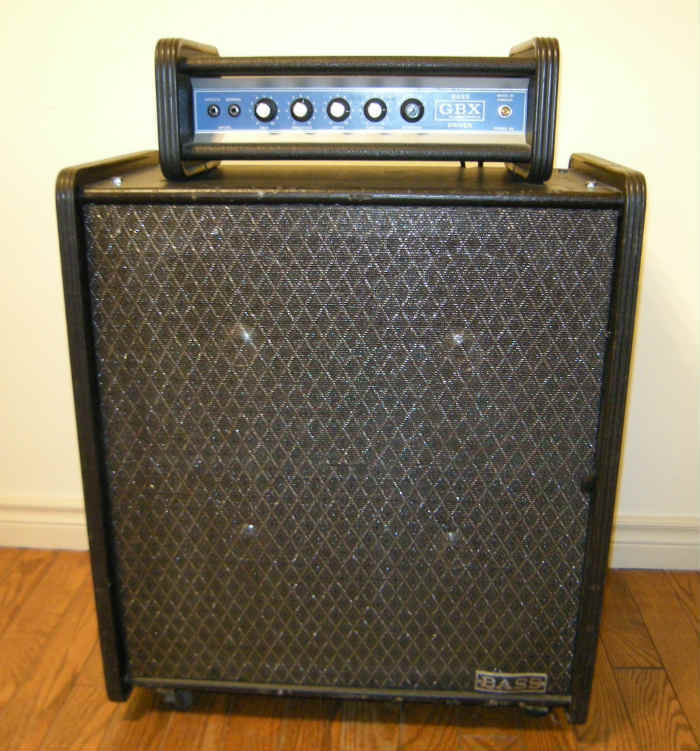 GBX users would have 2 of these stacked creating a 810 rig with 180 watts output, which for the time was more than enough power.